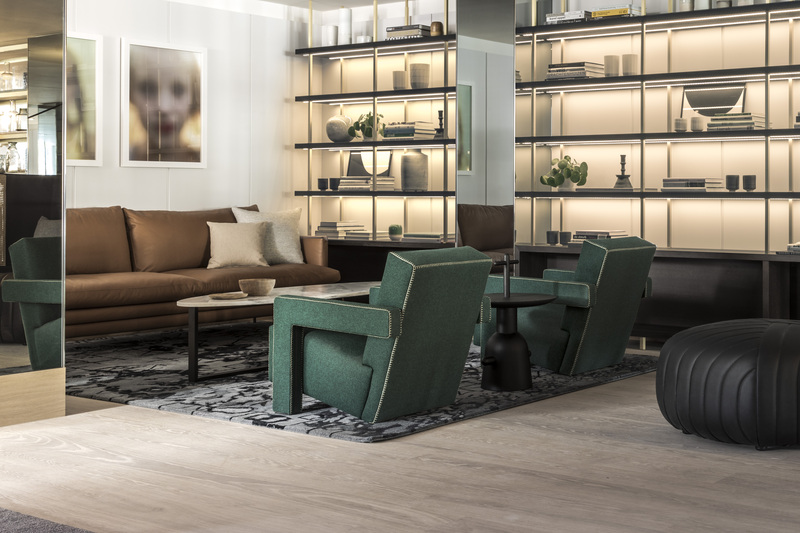 One of our favorite boutique hotel brands, Kimpton, has just debuted their first hotel in Europe, the Kimpton De Witt, located in the heart of Amsterdam. Set within three original Dutch Golden Age-era buildings in the Palace Quarter neighborhood, the 274-room hotel strikes the perfect balance of modern luxury and historical elegance. 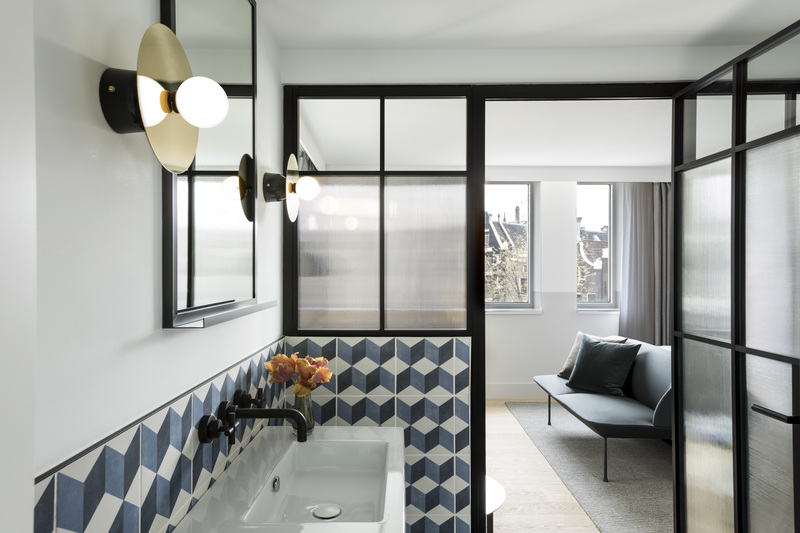 The hotel features bold yet playful Dutch-inspired design, a whimsical three story suite aptly named Little House, which operates as a house within the hotel, a flower shop with fresh cut blooms, and an open-air garden offering tranquil escape from the vibrant streets of Amsterdam. There are many things we love about the new hotel, including their restaurant, Wyers Bar & Restaurant, serving American cuisine and cocktails with a European twist, and the awesome breakfast spot Miss Louisa Coffee & Beignets, a walk-up counter providing hot coffee and fresh beignets that appeal to both guests and locals. In addition to the restaurant, Kimpton De Witt opens House Bar, featuring an extensive list of hyperlocal gins and genevers. Set in the most historic part of the hotel, a 1645 former family home, House Bar’s discreet, modern ambience exudes Dutch hospitality and experimental drinks can be complemented with cocktail-friendly bites. 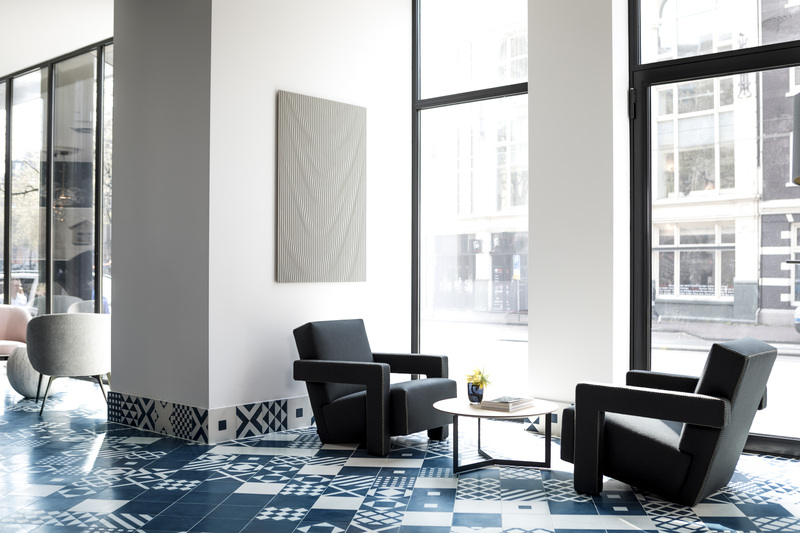 The inside of the hotel has some great touches too, such as a ‘living wall’ of florals and botanicals at the hotel entrance and Delft-inspired tiles paving the bathroom floors. 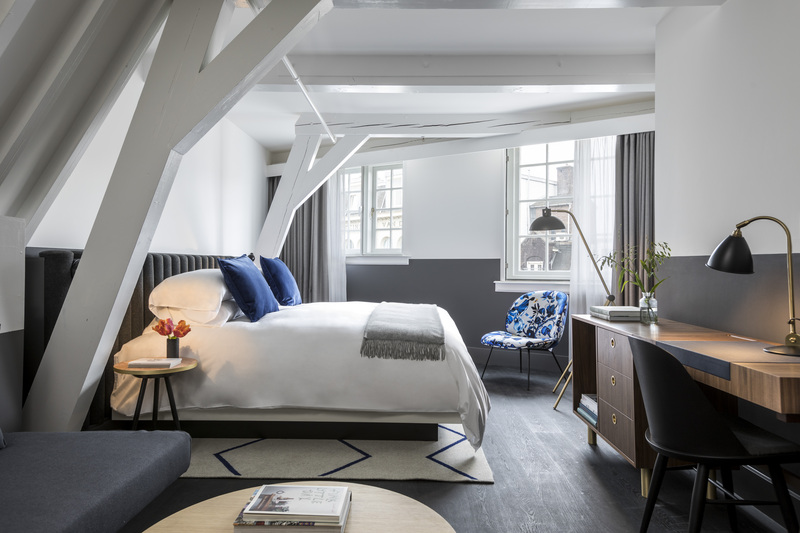 The playful design is brought to life in the rooms through surprising yet refined touches including amusing interpretations of classic Dutch art, beautiful custom-crafted desks, unique Atelier Areti bird lamps and Pols Potten porcelain gold-dipped parrots. The hotel flower shop and interior open-air courtyard also add an element of nature to the hotel, infusing the space with color and a distinct European charm. Many amenities are also fun for guests, like complimentary VanMoof bikes and a hosted ‘Social Hour’ every day starting at 5pm and experience luxurious in-room toiletries from Amsterdam based natural skin care brand Marie-Stella-Maris. But no doubt Kimpton De Witt’s most inventive feature is the three-story ‘Little House,’ located inside the hotel. The house was once the childhood home of the famous Dutch playwright, P.C. Hooft and dates back to the 1600s. Little House offers two king-sized rooms and a first floor living area, and can be rented by groups interested in a heightened level of privacy and luxury. Another luxurious option for guests is Kimpton De Witt’s signature suite, Penthouse De Witt. The penthouse is split over two stories with a 30-square meter roof terrace offering spectacular views of the city, including views of the iconic canal house roof tops. 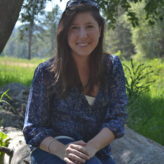 We can’t wait to visit, but wanted to share some sneak peek pics!